The first ever National Pothole Day is part of an awareness campaign to fix our roads of such damages. Street Repairs are running National Pothole Day and will speak to the press on the public’s behalf to show them the problems occurring on our roads. Motor traders can find potholes a huge problem because they damage customers’ cars which can cost them a considerable amount of money to fix. Most motorists feel as though they aren’t getting good value for money when it comes to our roads due to the number of potholes around. There are many factors that affect our roads including the cold winters, large amounts of traffic and flooding which all contribute to the roads deteriorating. Through social media Street Repairs has noticed that the public are fed up with these problems and now want to do something about it. Research shows that potholes cause as many as 1 in 10 mechanical problems on UK roads which costs motorists around £730 million a year. Potholes are the main cause of axle and suspension failure which is the cause of around a 3rd of the UK’s mechanical issues, costing British motorists around £2.8 billion a year. More than £30 million in compensation claims is paid by authorities because of poor roads. In England and Wales road maintenance is underfunded by about 55% (£1 billion) every year. The average frequency for a road to be resurfaced in England is currently once in every 54 years, and in Wales this is once every 107 years. Furthermore, if the authorities had the money to fix every road it would take 12 years to do so in England and 14 years in Wales. In North West Leicestershire the Tory MP Andrew Bridgen announced that £14 million has been funded to fix the roads until 2020/21. There will be around £976 million pounds invested into English roads which means approximately 18 million potholes can be fixed. Mr Bridgen added: “We all know potholes and poorly maintained roads are a menace, so this is great news for everybody who relies on the roads in North West Leicestershire. The £14,220,000 funding will go a long way to dealing with the problems we face on our roads. The Local Government Association (LGA) has set up a taskforce made up from councils, business representatives and utility companies to reduce the cost and disruption that usually comes from roadworks. This has been set up due to researchers finding poorly resurfaced potholes in 2012 with 20% of the work not being up to scratch. Chair of the LGA’s Economy and Transport board, Councillor Peter Box, said: “Most roadworks are essential and in many cases carried out efficiently and to a good standard. However, all too often, the rush to get on to the next job leaves in its wake patches of shoddy resurfacing. Not only is the taxpayer left to foot the bill to do the resurfacing properly, it means needless frustration for motorists and thousands of pounds in lost trade for small businesses. “Thousands of hours of roadworks disruption – closed roads, blocked pavements, temporary traffic lights, noisy drilling, restricted parking – are totally avoidable if only contractors did the job properly and companies better coordinated their works. When the ‘pothole season’ took its toll there were more complaints reported than ever and Warranty Direct shared their statistics. With 50,000 live policies, each owner had to pay an average cost of £257 to repair their vehicles due to bad roads. 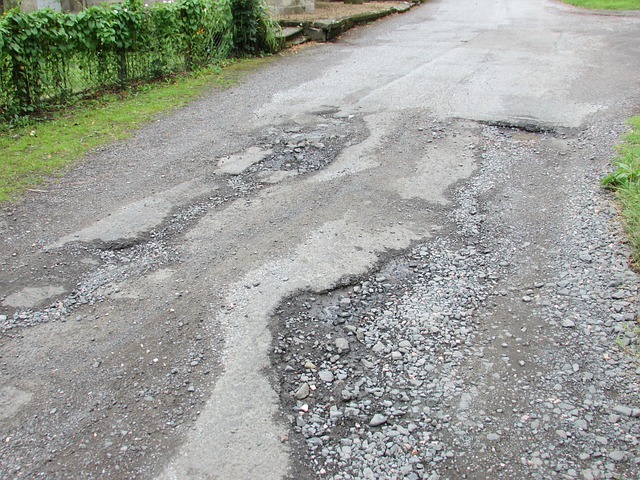 Duncan McClure Fisher from Warranty Direct said: “We are very happy to hear that the government is acknowledging the mess that councils and utility companies leave behind when they repair roads to an inadequate standard. As a motor trader when you or your staff are driving your customers’ cars you need to be extremely careful of potholes because they are easy to miss and can cost you a fortune. Hopefully in years to come more money will be invested into keeping the roads safe and pothole free!